Subway, the world's biggest fast-food chain with 44,000 locations worldwide, plans to roll out a loyalty program in the U.S. and Canada next month to offer flexible points for repeat customers. People can enroll in Subway MyWay Rewards in the Subway app, online or in a restaurant using a Subway card, according to a company press release. The program lets customers earn four tokens for every dollar they spend at the restaurant, regardless of how they pay: via the mobile app, gift card, credit card or cash. Once they earn 200 tokens, customers automatically receive $2 off any menu item. The program also offers special surprises like free cookies and chips, as well as a birthday gift. MyWay Rewards members can keep track of their tokens on Subway's website, the mobile app or by asking in-person at any location. 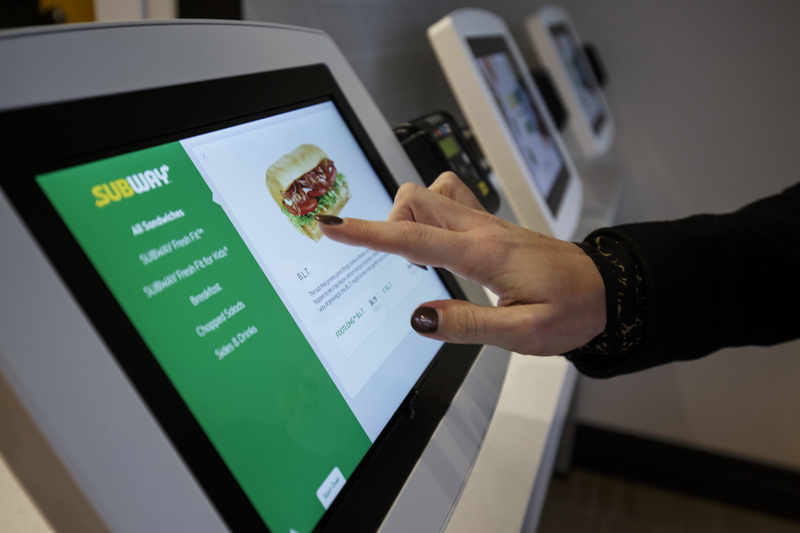 The new rewards program is part of Subway's broader goal to transform customers' experiences through technology and "an omnichannel approach," per the release, by merging efforts of the app, remote ordering an in-restaurant kiosks. Subway's rewards program helps to bring the chain into the digital age as it seeks to revive sales as competition in the space continues to heat up. Customer surveys led the company to structure its loyalty program with the rewards and occasional surprises that show up in the mobile app. Those kinds of personalized surprise offers can help to drive store traffic and encourage repeat visits to the sandwich chain, boosting longer term loyalty and sales. Chains like Panera Bread, Starbucks and Dunkin' Donuts have rolled out mobile-focused loyalty programs that customers can manage in one simple smartphone app. Previously, Subway offered free sandwiches with its punch card system called Sub Club that was discontinued in 2005, partly because of fraud, according to Wired. A revamped mobile system will likely help to eliminate the possibility that fraudsters will print counterfeit punch cards to get free food, while streamlining and digitizing customers' Subway experience. Now, they no longer need to keep track of a separate paper punch card, as the rewards will always be with them in their smartphone. As Mashable notes, a customer will need to spend $150 to get a free sandwich valued at about $6, but the $2 threshold will encourage people to return for more piecemeal rewards, Chief Digital Officer Carissa Ganelli told the website. The company has struggled with overexpansion and the closure of hundreds of stores, according to Nation's Restaurant News. Same-store sales has been in decline since 2012 as the company focused on discounts and competitors like Jimmy John's, Jersey Mike's, Firehouse Subs and McAlister's Deli grabbed market share.